Is church growth about building a big church or helping people get to know and love God? Jesus is God’s solution for people to come into a relationship with Him. 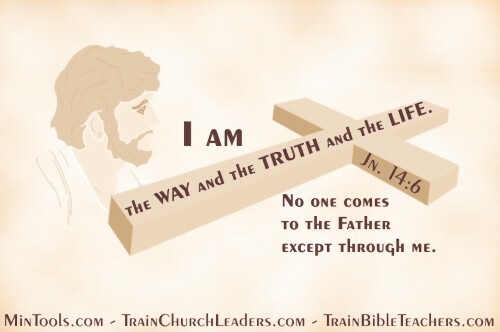 As Jesus Himself said, “I am the way and the truth and the life. No one comes to the Father except through me” (Jn. 14:6). Notice, He is not only the way and the life but also the TRUTH. How can we help people get to know and love God if we candy coat life in Christ to get people in to our churches? Wouldn’t a “feel good” gospel attract more people? Yet, if people don’t see their need of a Savior, why should they want Jesus? Wouldn’t positivity attract more people? Yet to understand grace and the free gift of God, don’t people need to see that the wages of sin is death which is what makes this gift so amazing? Wouldn’t people be more attracted to a church with a loving God? Yet, won’t people better understand hell and judgment if they realize that He is also a holy and righteous God? Wouldn’t the glorious and abundant part of asking Jesus to be your Savior appeal to people more, not the difficult parts of being a Christian? Yet, wasn’t Jesus Himself upfront about what it meant to follow Him, to be His disciple (Lk. 9:37-62)? As the Church, we are the pillar of truth (1 Tim. 3:15). We don’t get to pick and choose the parts we think will attract people. While we should not overemphasize certain parts over others, neither must we pretend other parts don’t exist. What is the sense of hiding Light under a bushel or bowl (Matt. 5:14-15)? ← Previous Previous post: Trying to Attract People to Your Church Through Manipulation?